Why pay someone else to sharpen your chainsaw when you can do it yourself? 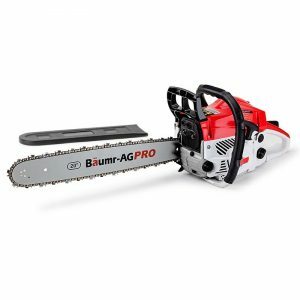 With a light, rigid CAD design the Baumr-AG Rigid Pro-Series 320W Chain Sharpener keeps any sized chainsaw pitch razor sharp. 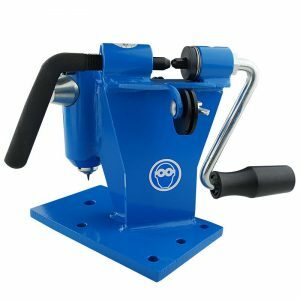 Its balanced 220W solid copper engine delivers constant blade speed with no hot spots while its rigid chain vice and exclusive STEP-LOCK technology ensure precision cutting and clean grinds every time. You've got to have the ultimate DIY sharpening machine. Don't rely on someone else to keep your chainsaw razor sharp. Your Baumr-AG makes doing it yourself easy with a genuine 220W solid copper motor handling all the grunt work. 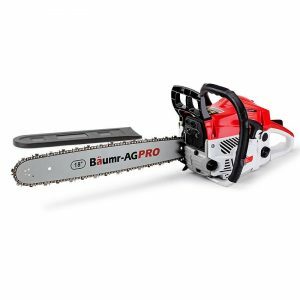 Some pretenders may advertise a "copper core" but this is the real deal - a genuine Baumr-AG fully copper wound commercial motor that peaks at 320W and maintains constant speed, ensuring no hot spots and the best precision cuts. Not only will it maintain the sharpness of your saw chain, it'll keep it working better for longer with fine adjustment angle, pitch and depth of grind ensuring a correctly sharpened chain that won't buck or kick-back. 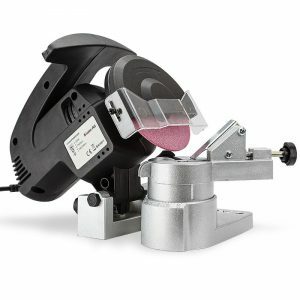 Buy now and take advantage of a limited offer that includes four precision grinding wheel and Baumr-AG's latest superior infinity adjustable vice. 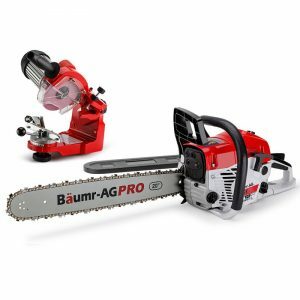 Whether you're a pro or a handyman, keep your chainsaw working like new - order your Baumr-AG chainsaw sharpener today! Grinding out four bonus wheels - This unit comes loaded with four bonus precision grinding wheels and Baumr-AG's latest superior infinitely adjustable working vice, so you won't need to worry about replacement grinders for a long time. Lock in a clean cut - The exclusive STEP-LOCK technology delivers precise incremental clamping, tooth by tooth for superior clean grinds. Sharpens any saw - Able to sharpen all pitches from 0.325, 404, 3/8, 3/16, this unit is the perfect accessory for any saw, plus the industry standard 10mm arbor means you can pick up consumables anywhere!